A parade of cosplay, a promenade of artists and exhibitors, screens with exclusive footage, and interesting panels whirled through Anaheim, California this weekend. I’m talking about WonderCon, run by Comic-Con International: San Diego. You may have heard of the latter! 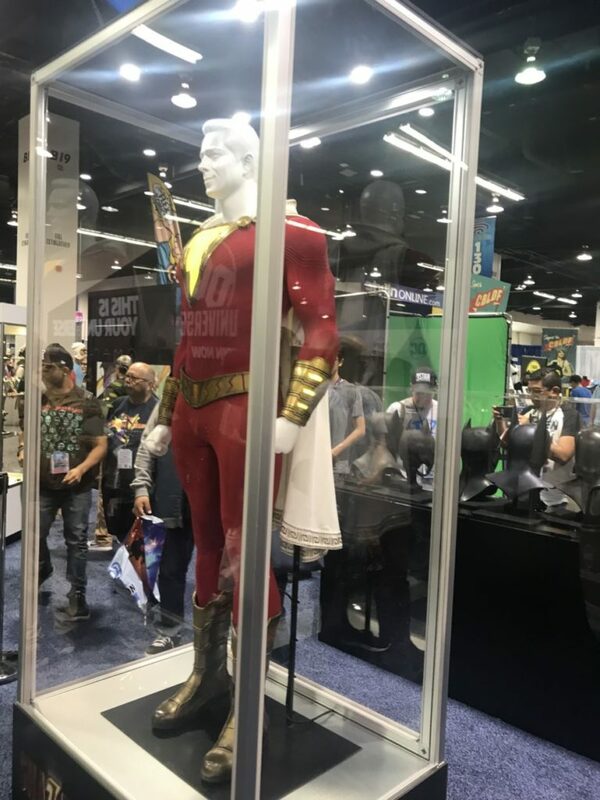 Considered the go-to comic convention that is still medium-sized in scope and scale, WonderCon kicks the con season into high gear each Spring. Finally made it to WonderCon! Photo Copyright 2019 by J. Dianne Dotson. This year, I was invited to be part of a panel at the con, “Technology Is Cold, People Are Warm”, hosted by Mysterious Galaxy Bookstore. Moderated by Maryelizabeth Yturralde, panel authors Cory Doctorow (Radicalized), S.B. Divya (Runtime), Maura Milan (Ignite the Stars) and myself (Heliopause: The Questrison Saga: Book One) addressed the topic. We explored how speculative fiction is often known more for the coldness of technology rather than the warmth of humanity. Moderator Maryelizabeth Yturralde and Panel Authors Cory Doctorow, S.B. 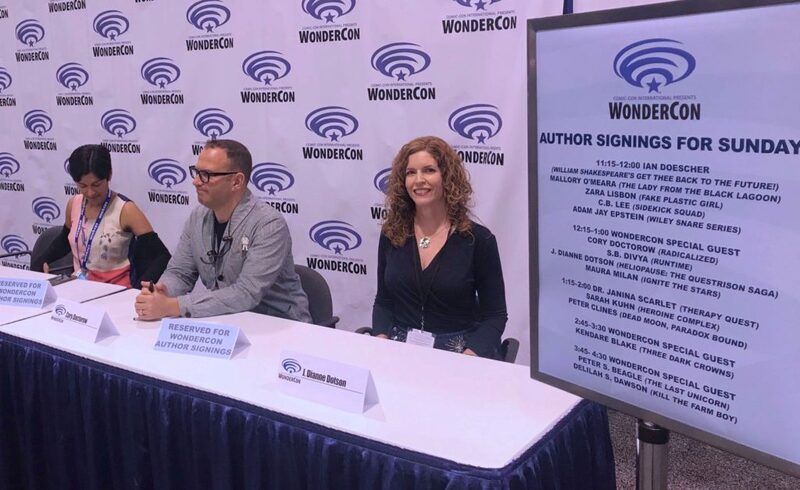 Diva, J. Dianne Dotson, and Maura Milan at WonderCon. Photo Copyright 2019 by J. Dianne Dotson. This proved to be a lively and currently relevant topic. Within the past week, a potential simultaneous and historic spacewalk by two women at the International Space Station was canceled due to the lack of appropriately sized spacesuits for one of the astronauts. We addressed that issue, and how space should be for all people, all abilities, and all accessibilities. Space for all means space should be for denizens, not dilettantes. It is really up to all of us to ensure that future for humanity, while considering the economic implications of this as well. I jumped at the chance to talk about space fashion, something I have spent most of my life thinking about or drawing! We also talked about other current events and politics, and how all of those things tie into our current moment, as well as our fiction. 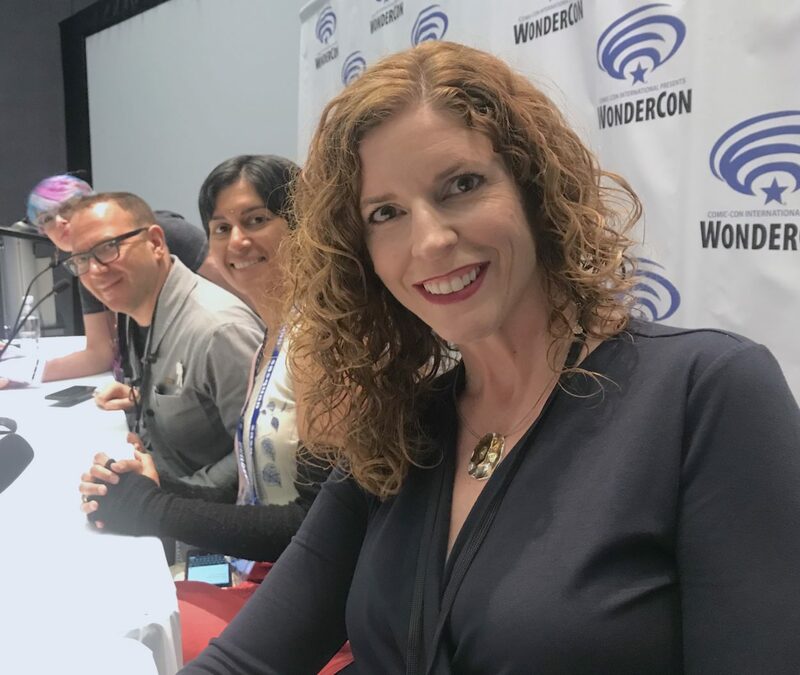 On the “Technology Is Cold, People Are Warm” Panel at WonderCon. Left to right: Maryelizabeth Yturralde, Cory Doctorow, S.B. Divya, J. Dianne Dotson, and Maura Milan. Photo Copyright 2019 by J. Dianne Dotson. The Panel Audience for “Technology is Cold, People Are Warm” at WonderCon. Photo Copyright 2019 by J. Dianne Dotson. We also discussed AI (artificial intelligence), and how it is often viewed in speculative fiction as being potentially hostile. Providing counterpoints to that potentiality opened up a good opportunity for the audience members to chime in. From my own work, I addressed the need for human coping mechanisms and how AI can help with that for grieving or for affection…and also how this scenario might not go so well in certain cases. Other aspects of technology that could lend themselves to the warmth of humanity brought forth anecdotes from each of us. I spoke about the soft floors of Mandira Research Station in Heliopause, the presence of and difference between bots and drones in my stories, and the usage of simple things such as coffee or pie or homemade quilts on a sustainable, contained station far in the depths of our solar system. This was a terrific panel. Afterward, we headed to the Author Signing Area, adjacent to a bookselling booth of Mysterious Galaxy. 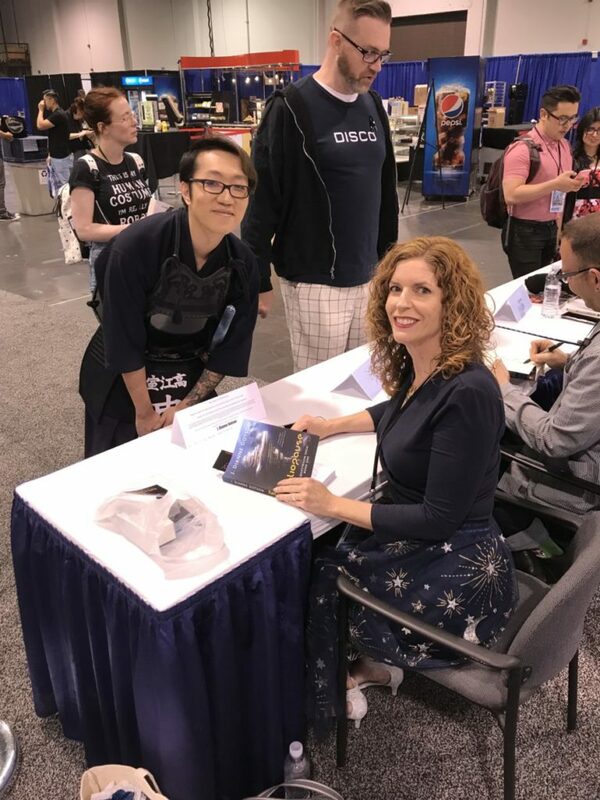 I really enjoyed meeting new readers, and talking to anyone who stopped by! I can attest Mr. Doctorow is a fascinating table mate, and we talked about cacao cold brew and ginger liqueur, among many other things. It’s nice to know we writers of speculative fiction and different aspects of technology also enjoy making beverages and brownies and all sorts of other warmly human things! 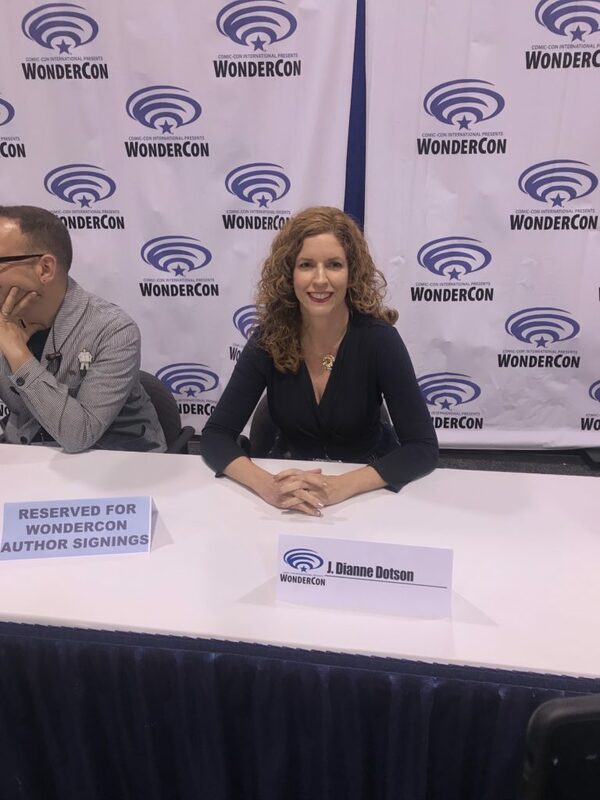 Dianne at the Author Signing Area at WonderCon. Photo Copyright 2019 by J. Dianne Dotson. 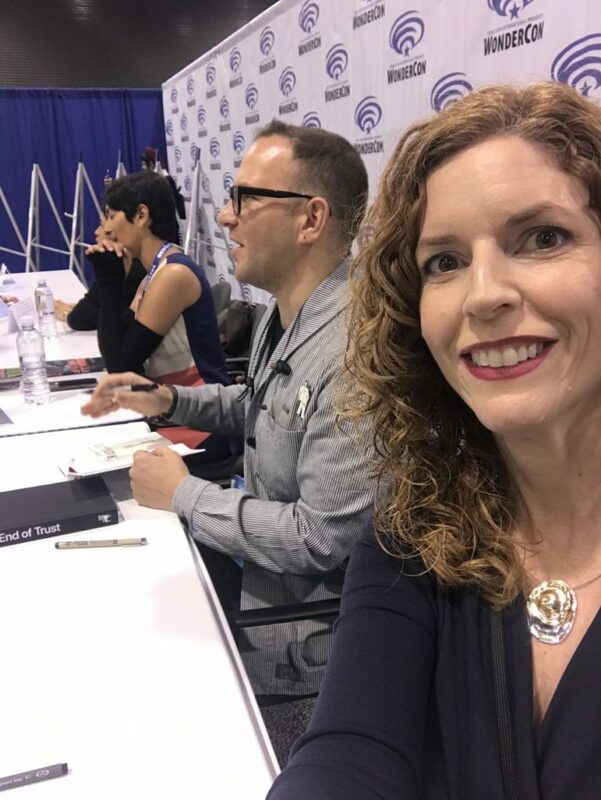 Dianne with Cory Doctorow and S.B. Divya at the Author Signing Area at WonderCon. Photo Copyright 2019 by J. Dianne Dotson. Ready for book signings at WonderCon! Photo Copyright 2019 by J. Dianne Dotson. 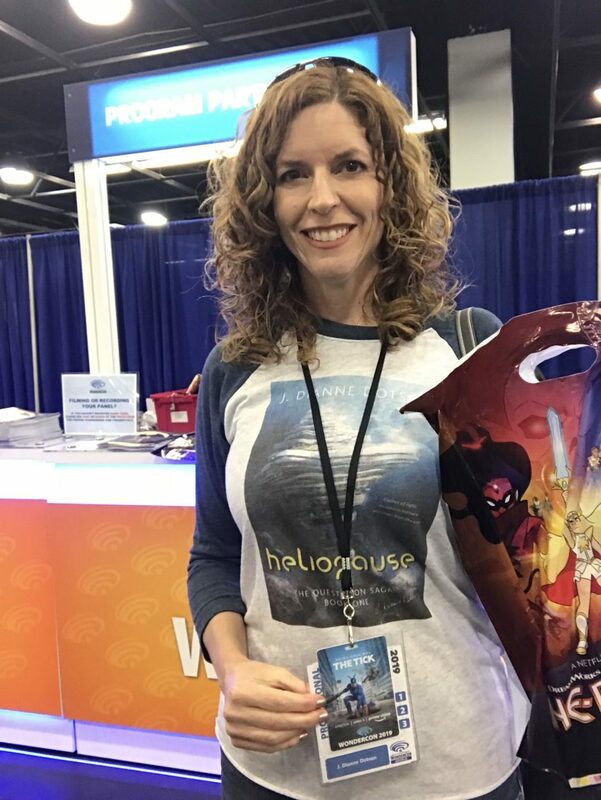 A reader gets Heliopause: The Questrison Saga: Book One Signed by Dianne. Photo Copyright 2019 by J. Dianne Dotson. The rest of the con was a blur of epic proportions! 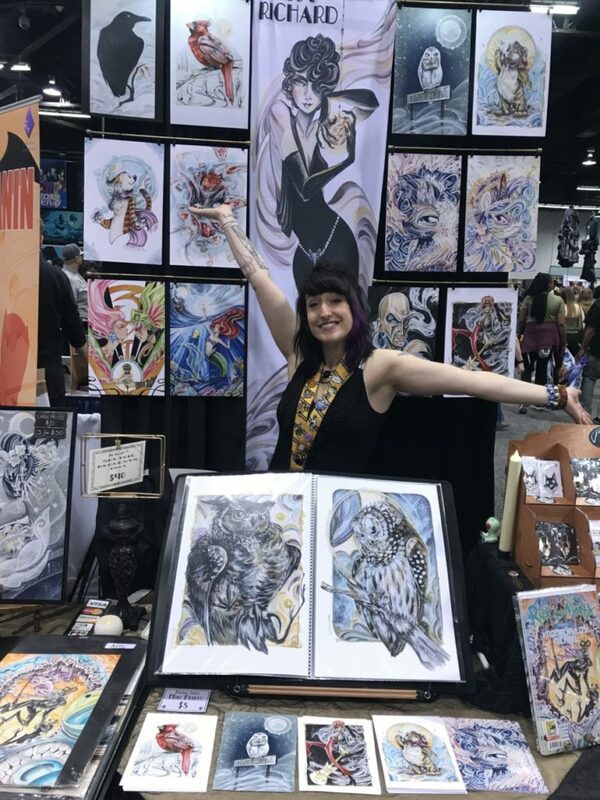 I visited the booth of the truly fabulous Sara Richard, whose mesmerizing watercolors I was finally able to bring home in the form of prints, and the lovely book The Ghost, The Owl with her art and words by Franco. Artist Sara Richard at her WonderCon booth. Photo Copyright 2019 by J. Dianne Dotson. 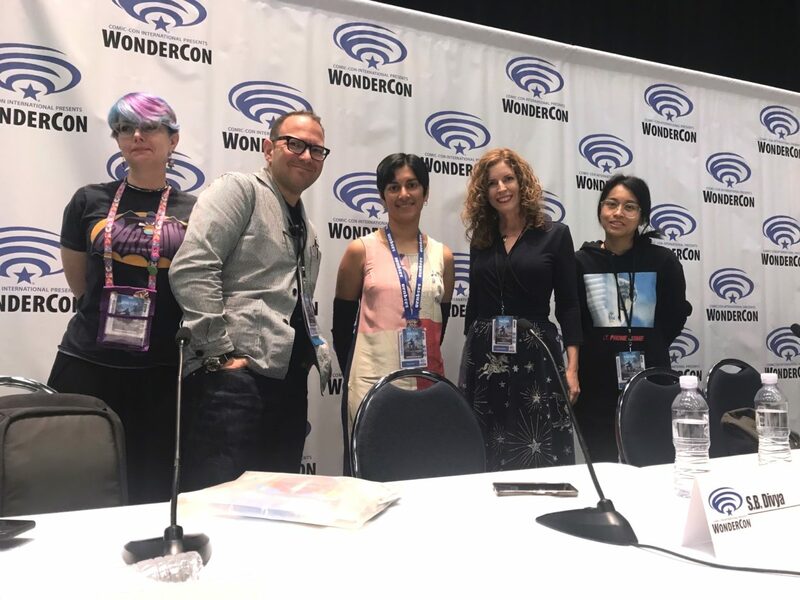 I was able to attend another panel, the DreamWorks TV panel for the new Netflix series, She-Ra and the Princesses of Power. 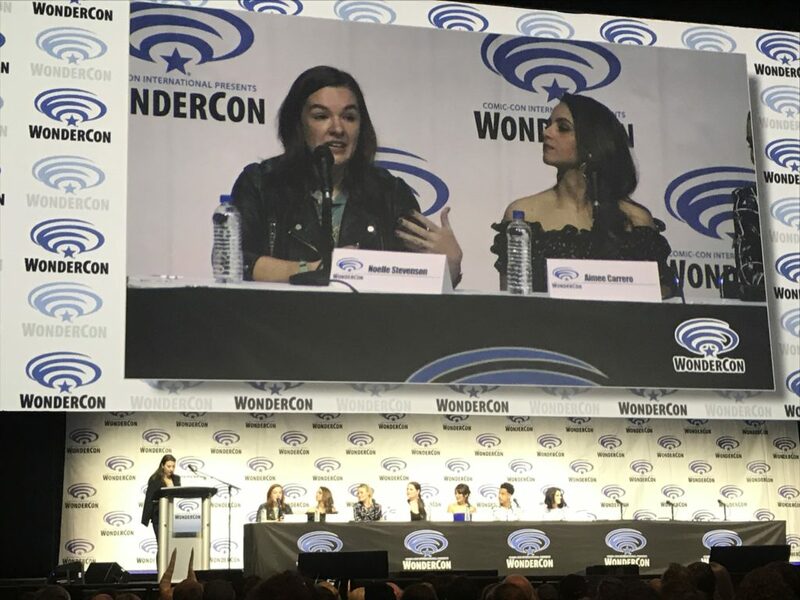 The show runner, Noelle Stevenson, spoke alongside voice actors for She-Ra, Catra, Glimmer, Bow, and Scorpia. It is clear how much love and passion Ms. Stevenson has put into the characters and the show itself. Because I grew up with the original series, I hold a special place in my heart for all things She-Ra. The new show is in good hands, with a fresh take, lively dialog, endearing character traits, and exciting plots for the new series ahead. We were treated to special footage, and I can tell you, the large crowd shrieked in delight and awe (as did I!). I adored the fan love for this show! She-Ra show runner Noelle Stevenson and voice actor Aimee Carrero. Photo Copyright 2019 by J. Dianne Dotson. 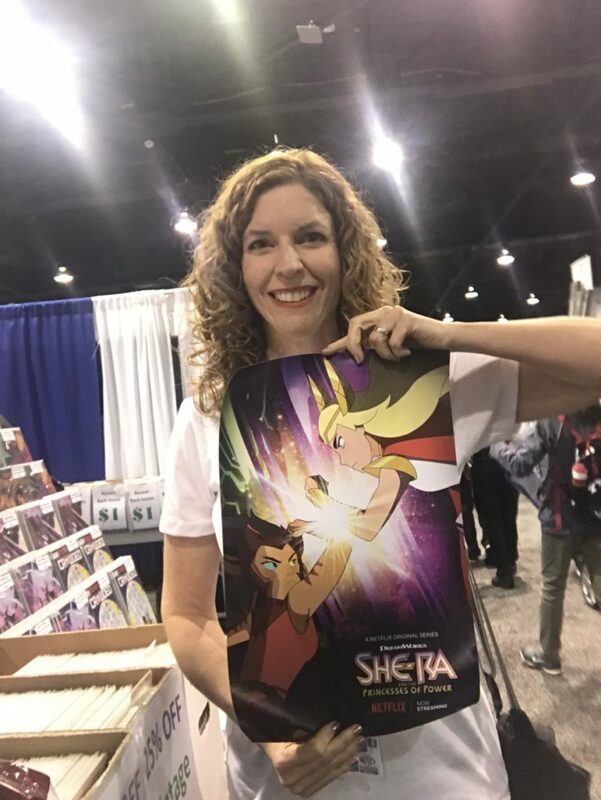 Free She-Ra poster from the She-Ra Panel at WonderCon! Photo Copyright 2019 by J. Dianne Dotson. The WonderCon cosplay was BEYOND legendary! I didn’t even get as many photos as I could have, and even then they wouldn’t have scratched the surface of the incredible detail everyone put into their outfits. Bravo, all! 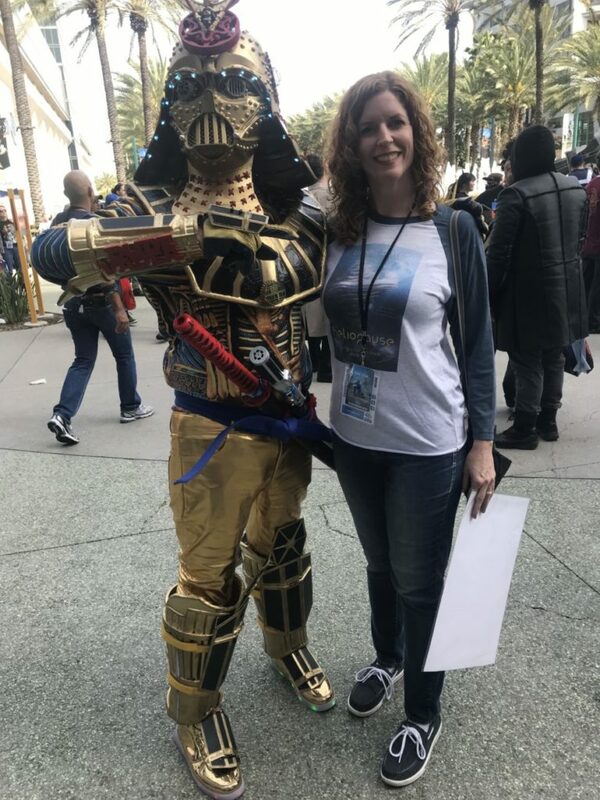 J. Dianne Dotson is reunited with Dude Vader! Photo Copyright 2019 by J. Dianne Dotson. 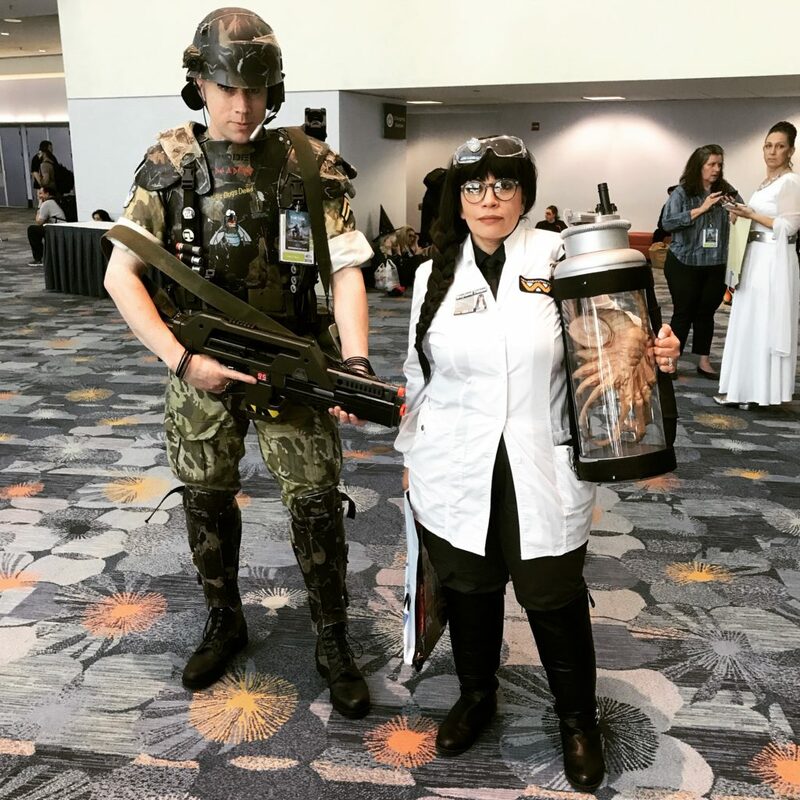 Fantastic Aliens Movie Cosplayers at WonderCon. Photo Copyright 2019 by J. Dianne Dotson. 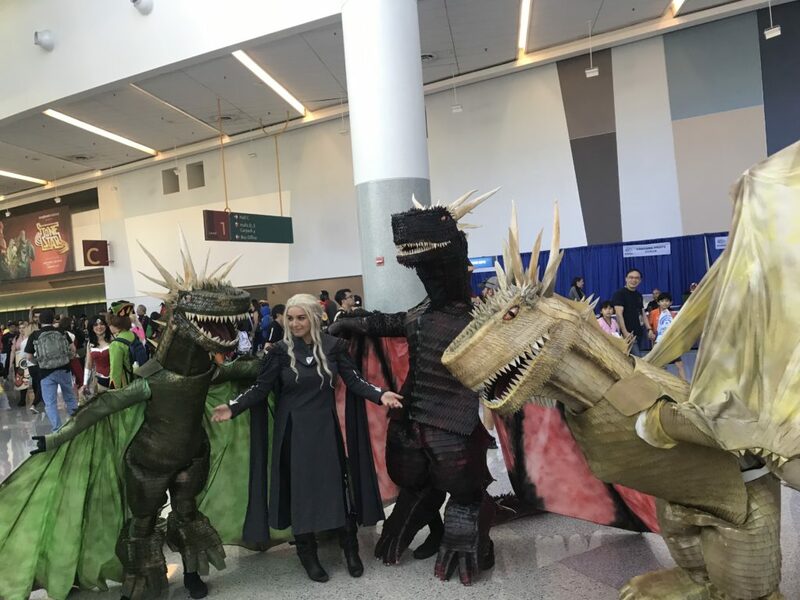 Game of Thrones Cosplayers at WonderCon. Photo Copyright 2019 by J. Dianne Dotson. 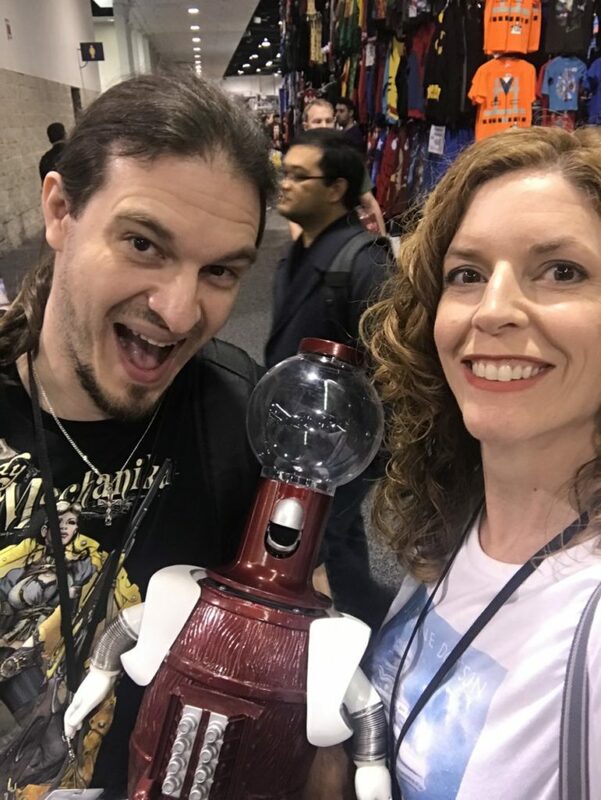 Danny Krysak with his homemade Tom Servo, alongside J. Dianne Dotson. Photo Copyright 2019 by J. Dianne Dotson. 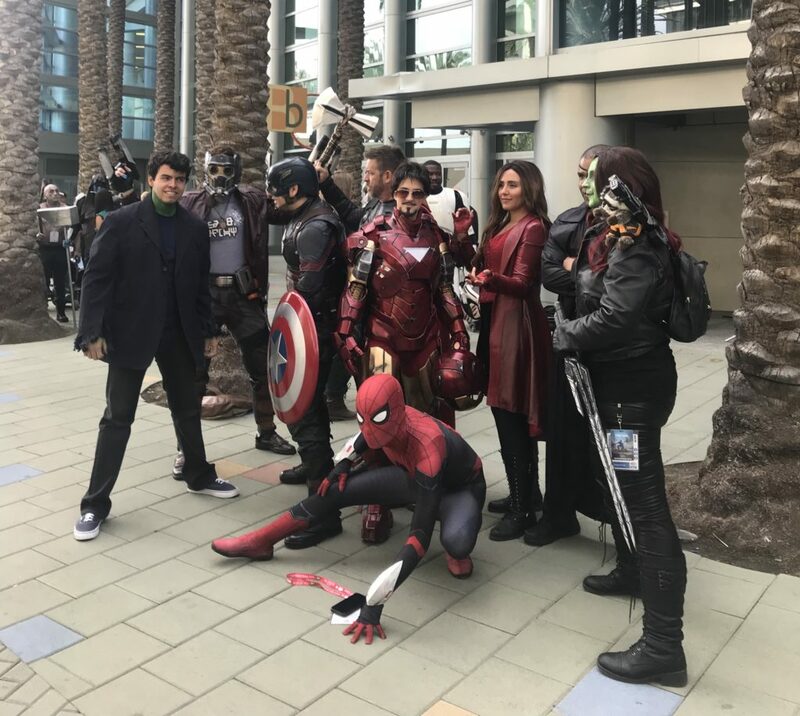 Marvel Avengers Movies Cosplayers at WonderCon. Photo Copyright 2019 by J. Dianne Dotson. 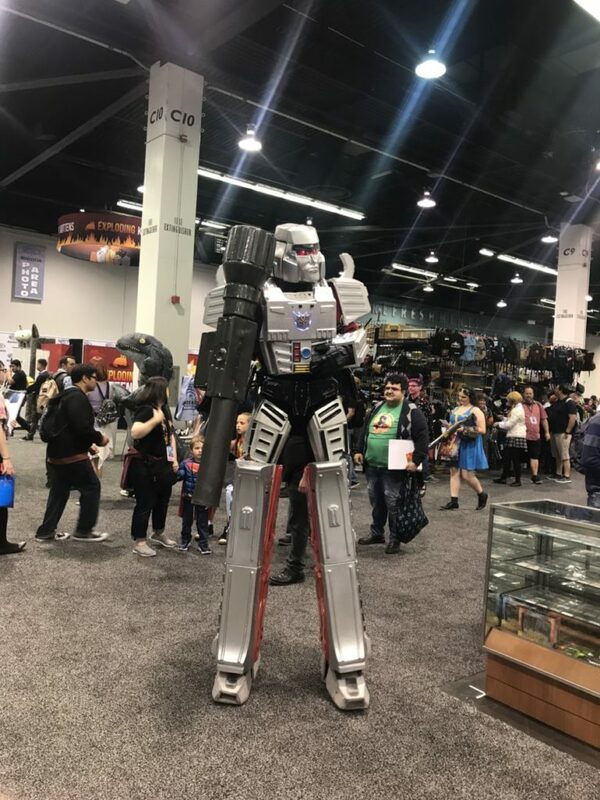 Megatron Transformer Cosplayer at WonderCon. Photo Copyright 2019 by J. Dianne Dotson. 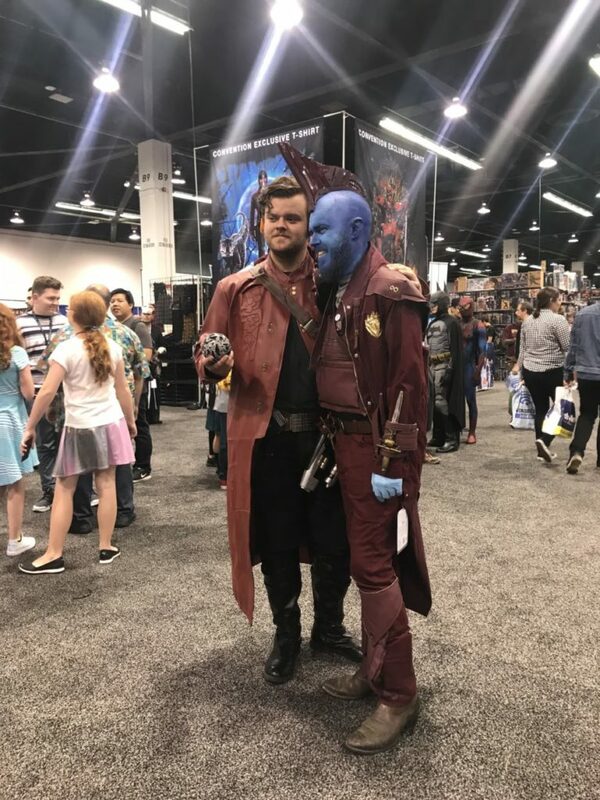 Starlord and Yondu Guardians of the Galaxy Cosplayers at WonderCon. Photo Copyright 2019 by J. Dianne Dotson. 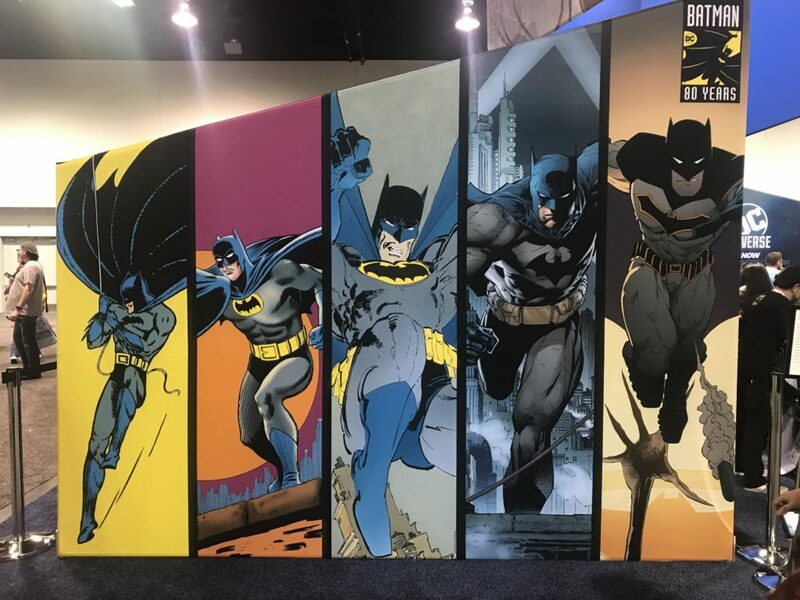 Batman 80 Years Display at WonderCon. Photo Copyright 2019 by J. Dianne Dotson. SHAZAM! 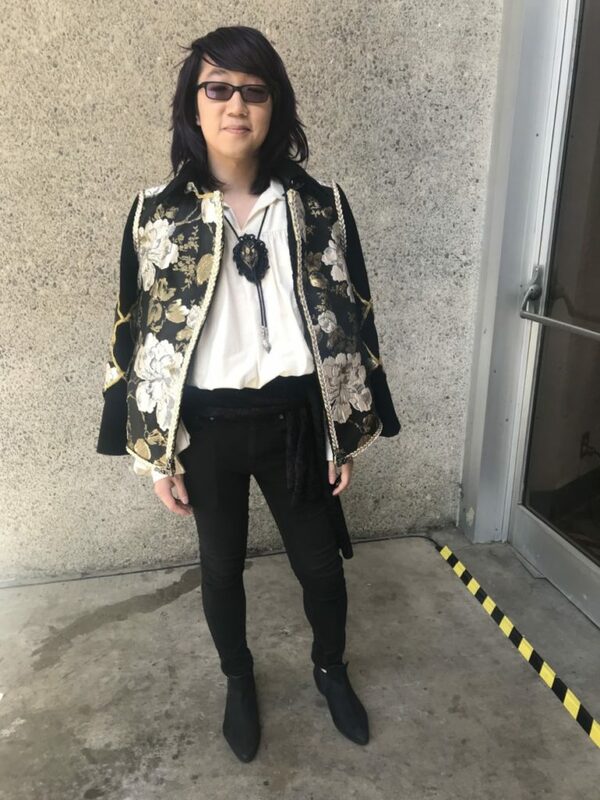 Movie Costume at WonderCon. Photo Copyright 2019 by J. Dianne Dotson. 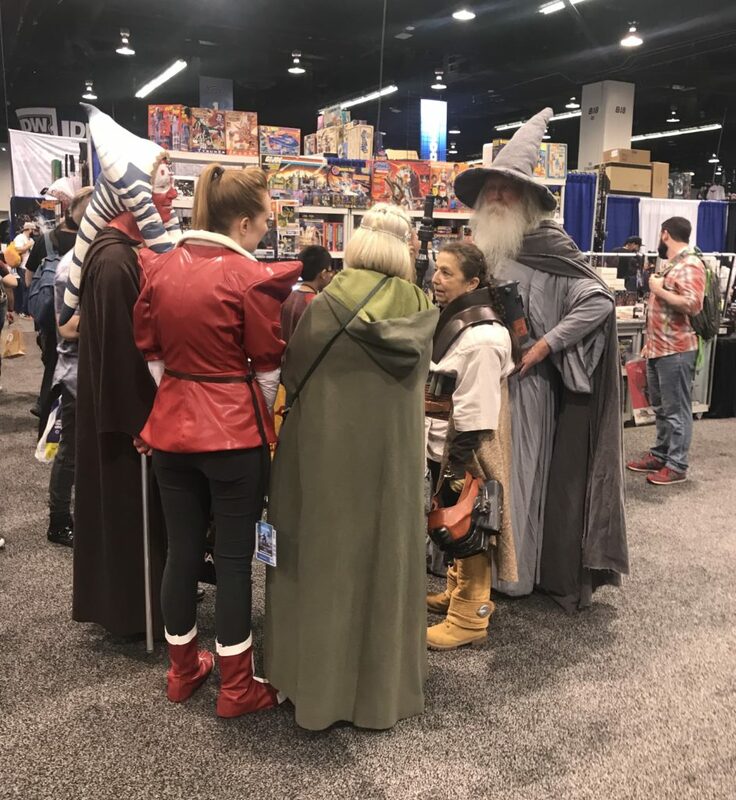 A Meeting of Cosplayers at WonderCon. Photo Copyright 2019 by J. Dianne Dotson. Fabulous Cosplay of Howl from Howl’s Moving Castle! Photo Copyright 2019 by J. Dianne Dotson. 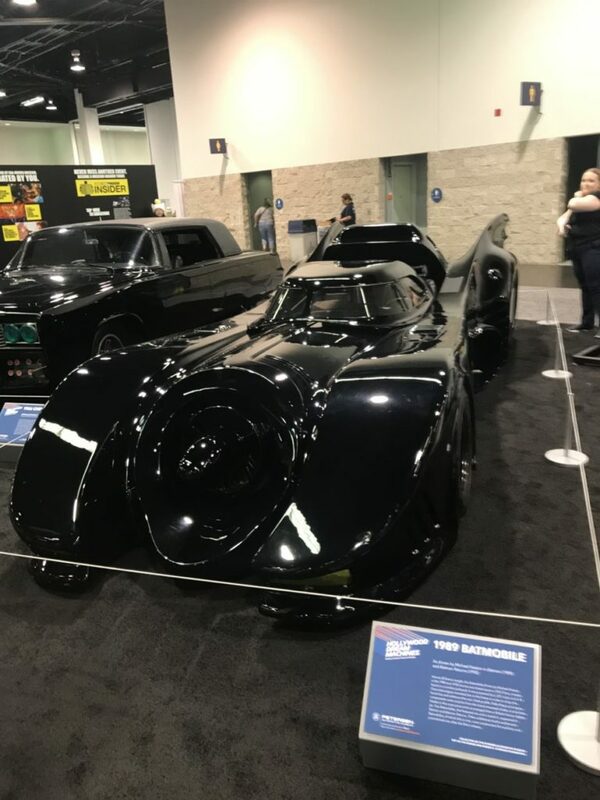 The 1989 Batmobile at WonderCon. Photo Copyright 2019 by J. Dianne Dotson. A special thank you to Mysterious Galaxy Bookstore and Maryelizabeth Yturralde for the fantastic panel! 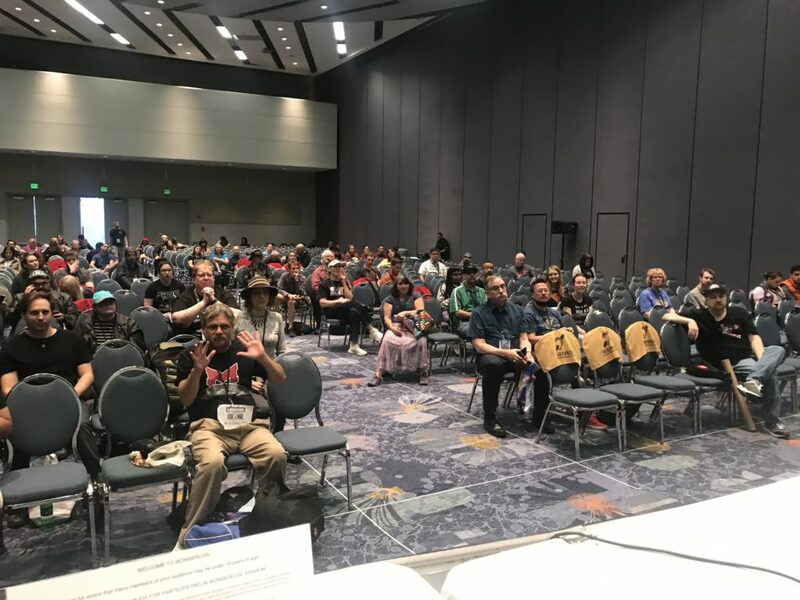 WonderCon, I must bid you adieu for this year, but I do hope to return to this joyful, jam-packed, enthusiastic crowd again next year! 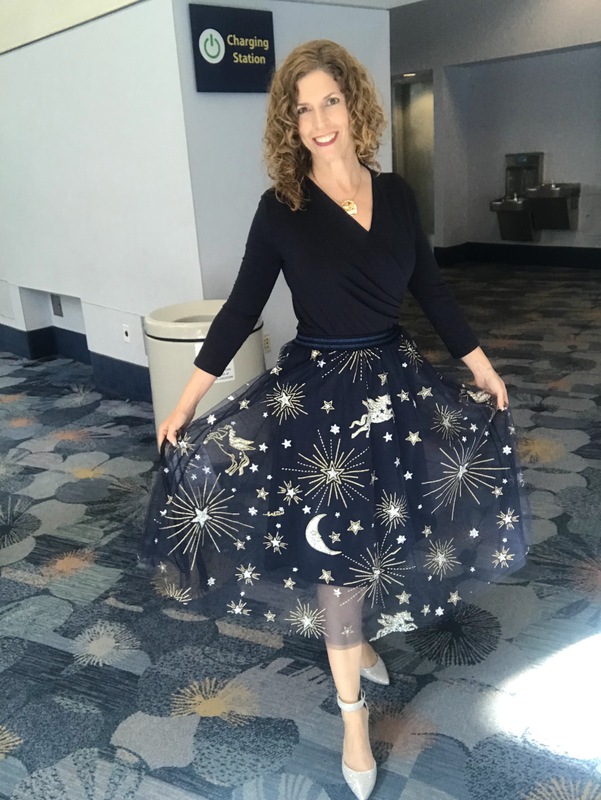 J. Dianne Dotson Poses in Space fashion! Farewell, WonderCon! Photo Copyright 2019 by J. Dianne Dotson. 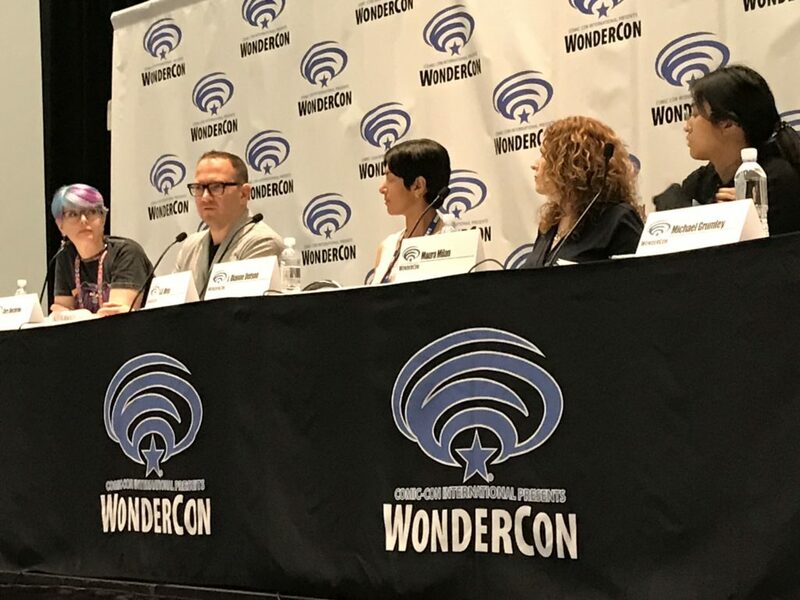 Image Credit: Photo of WonderCon Panel “Technology Is Cold, People Are Warm” featuring moderator Maryelizabeth Yturralde and authors Cory Doctorow, S.B. Divya, J. Dianne Dotson, and Maura Milan (not pictured). Photo by J. Dianne Dotson Copyright 2019.